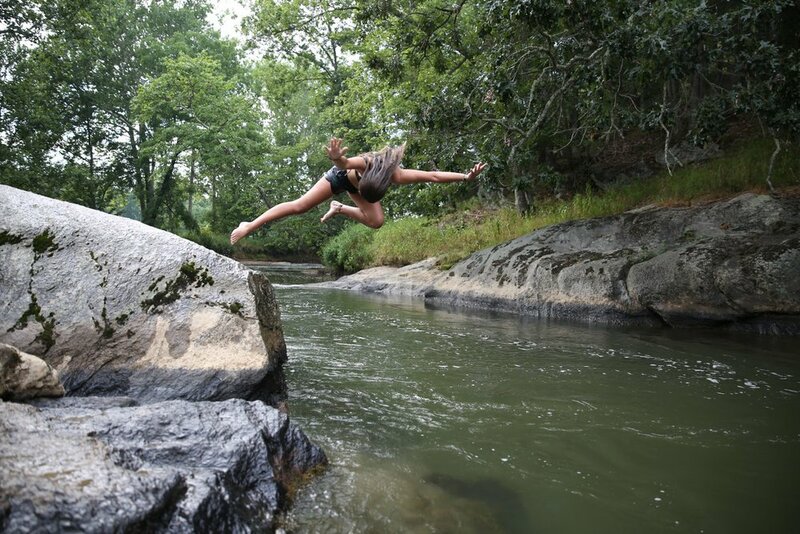 The New River is one of the oldest rivers in the world and Alleghany and Grayson Counties are graced with its presence. 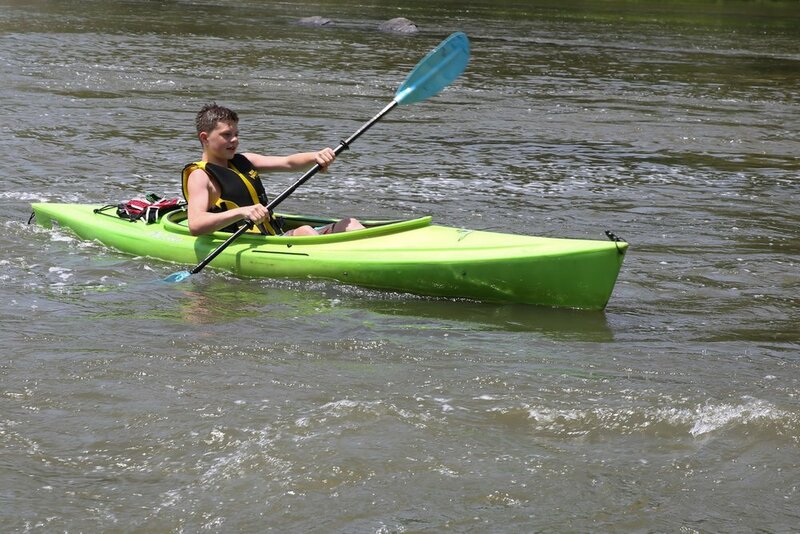 BRDC shared its majesty with 9 eager kayakers during a 4 day/3 night camp we call New River Expedition. 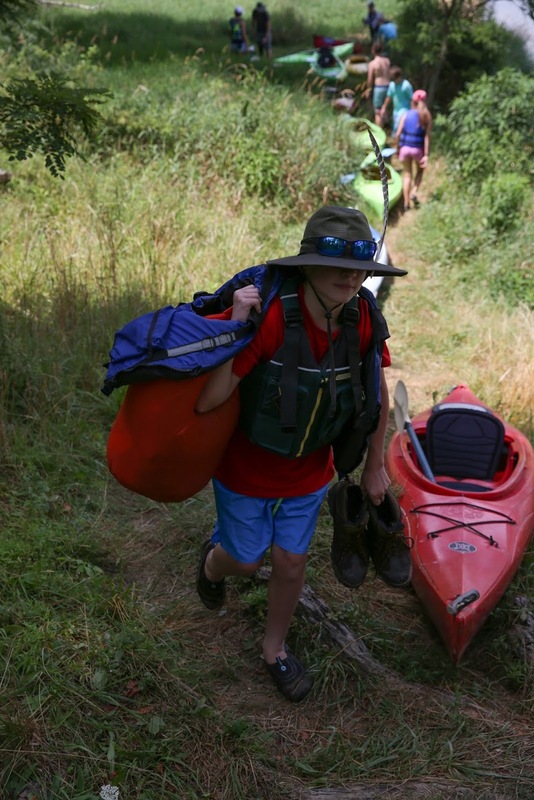 Carrying all provisions in canoes and kayaks, camping at canoe-in-only campgrounds or on private, remote islands allowed these campers to see and experience the beauty and tranquility of the New River. 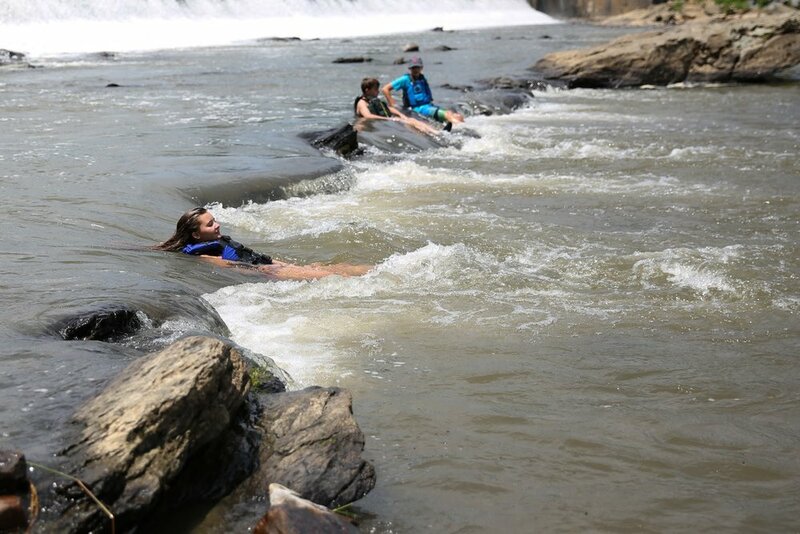 Traveling past meadows and farmland, through rugged hillsides and craggy rock cliffs, on flat water and Class II/III rapids accentuated the power of this ancient river. 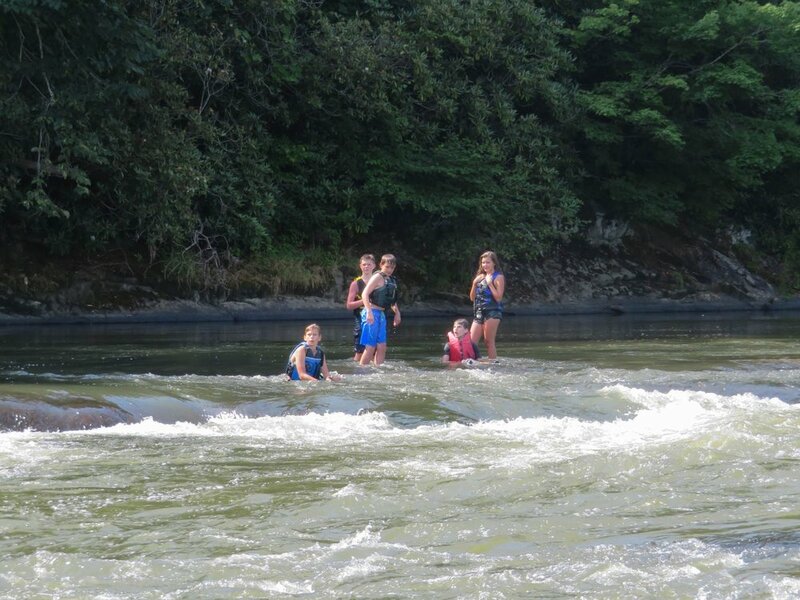 Each day, these campers traveled 6-9 miles down the river honing in their boating skills. They loaded and unloaded their gear and set up camp every night. Campfires were built, dinner was prepared and hammocks were hung. 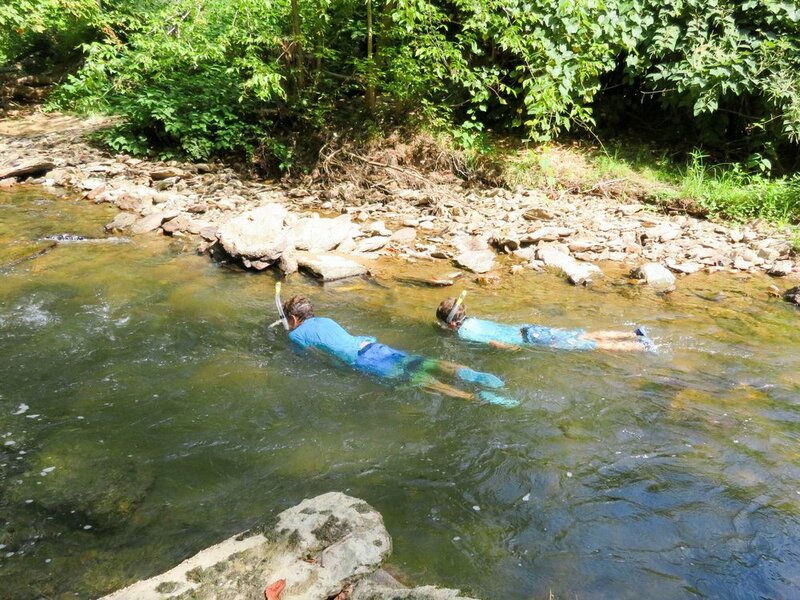 And along the way, they learned fly fishing, snorkeled, investigated nighttime wildlife and learned about protecting our riparian zone and the web of life associated with this river. 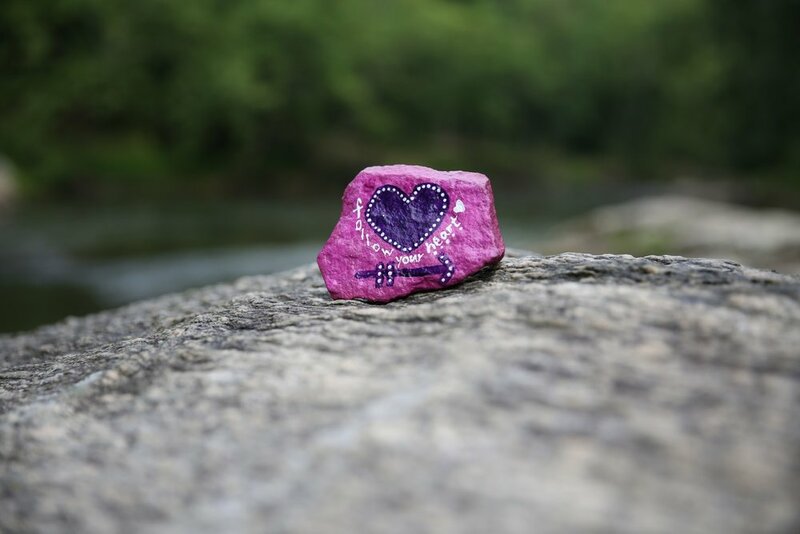 Eagles flying overhead, floating down rapids in and out of boats, jumping off rocks, playing games and telling stories, and the camaraderie among campers and guides along this age old river, will not soon be forgotten.